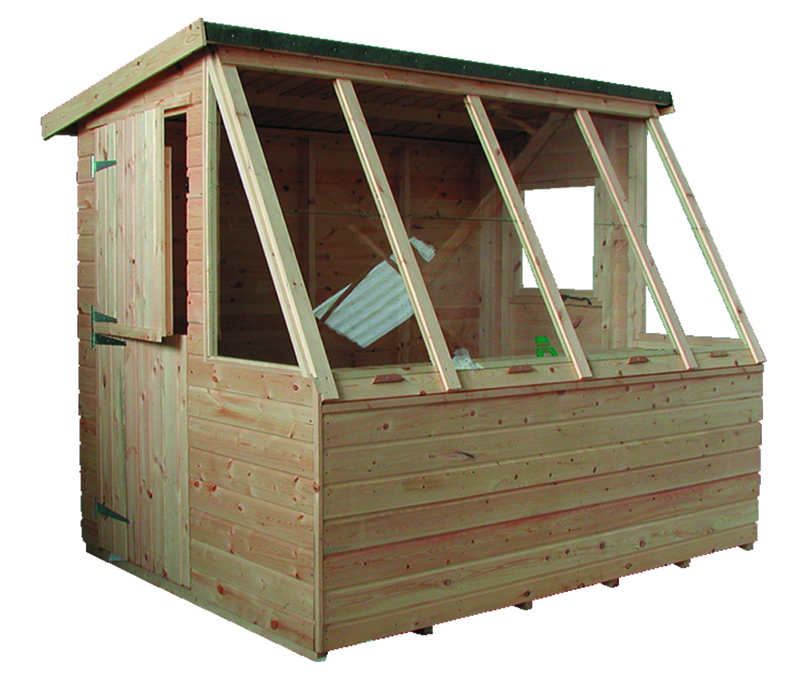 The Lincolnshire is a pent roof potting shed which is made from ethically sourced timber and the highest quality materials. 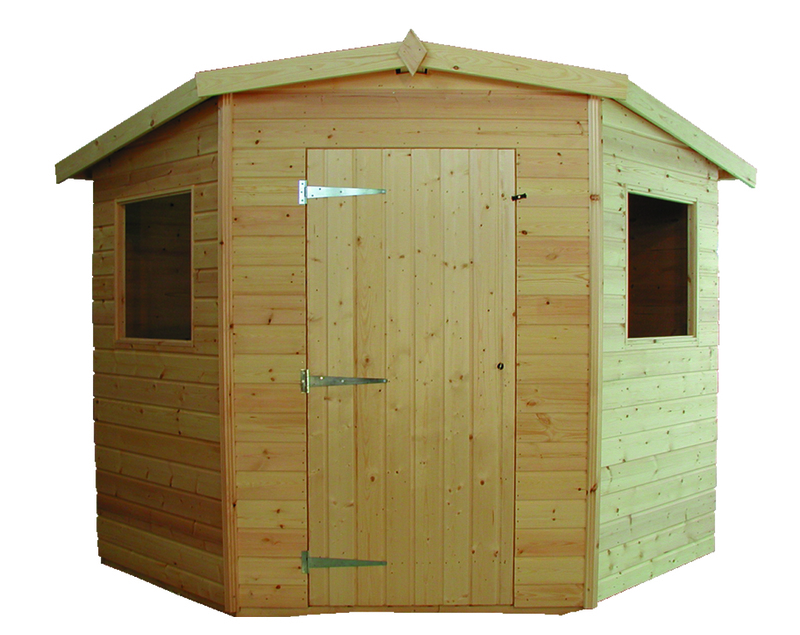 All of our sheds are manufactured here in the UK so you can be certain that you’re getting the very best products at a very affordable price. 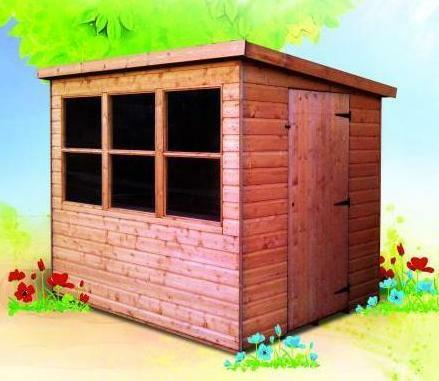 This timber potting shed is made from tongue and groove shiplap with 45 x 34mm planed framing. This type of boarding provides excellent protection against the weather and ensures that the contents of the shed are kept safe and dry. The pent roof slopes gently from front to back, encouraging efficient drainage of rainwater and protecting the timber from any damage. A felt covering provides additional weatherproofing on the roof. The front of the shed has six large windows, providing plenty of light into the shed. At the end, a strong framed door with three galvanised hinges and a lock and key provide security. It is possible to change the position of the door; this should be specified when you place your order. 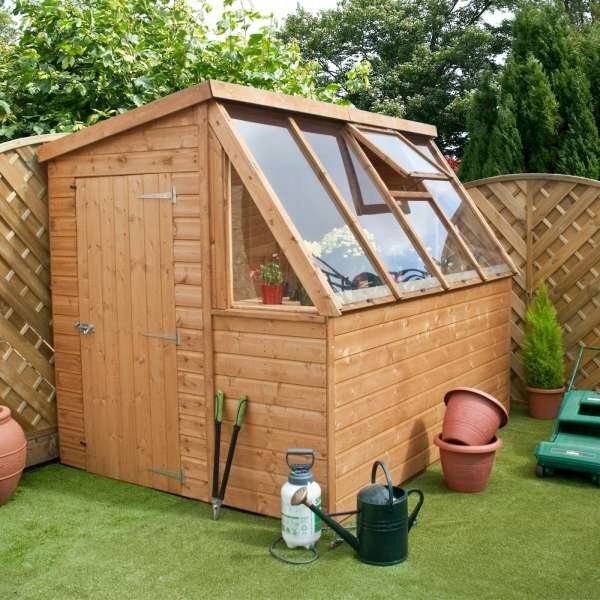 The Lincolnshire is also available in five different sizes, making it the perfect potting shed for gardens large and small alike.